Hello to all my Fellow Farmers!! Welcome to another Farm Fresh Friday on The Greeting Farm Blog! 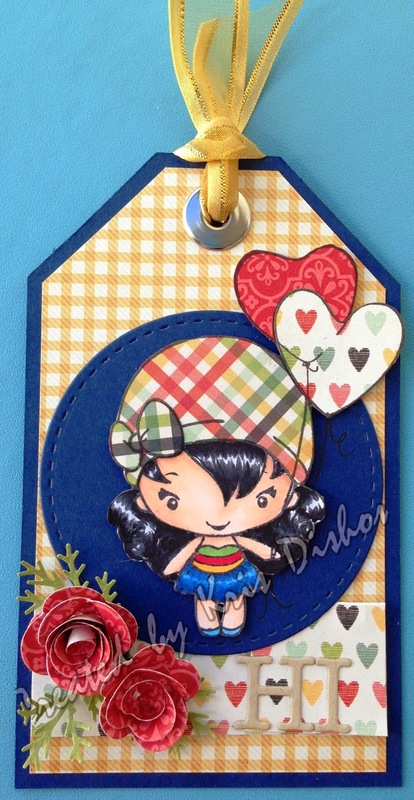 This week Marcy has asked us to create using stripes or plaid - yay! For my card I pulled out one of my favorites beans - Up Up Bean! I paper pieced her with paper from Simple Stories and coloured with Copics. I decided to do a tag which is something I don't do very often as I am a card maker at heart, but I think more tags are now in order!! Hope you get a chance to play along with the challenge this week. The Greeting Farm - July Release Day!